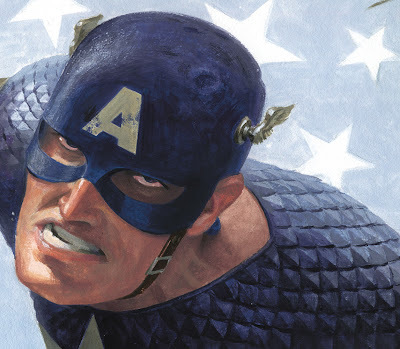 I never really cared for the face I painted on the Mythos: Captain America cover. I wonder why. that reference is awesome! I just got the Mythos hardcover and its amazing Mr.Rivera . Can't wait to see what's coming up for ya. I kinda see what your saying. Not enough emotion in the face. haha, i think he meant - b/c its his own face! Man, I really love your light in the capt America pages . Running to the comic store to find some of your jobs.